One artist’s work will be selected to receive the “Kelly O’Rourke Art Grant” of $50. This artist’s work will become the image of the exhibition and will be used on the invitation, video title screen and on all online presentations. The artwork needs to be abstraction, where the image shows the artist creative views so that there is little or no representation of the real world. The composition elements of the work must rely on form, color, shapes, action, lines, marks, and texture to create a purely abstract work that engages the viewer and draws them into the intention of the artist’s work. 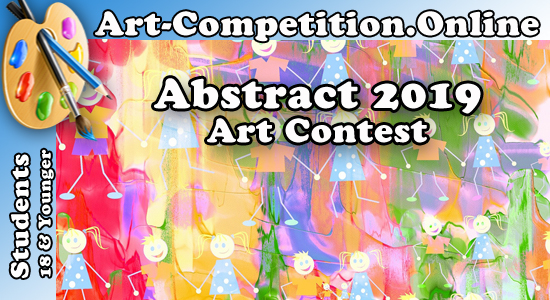 Artwork will be evaluated based on the creativity and uniqueness of the vision conveyed, the quality of execution, the interpretation and portrayal of the theme, and how clearly the artist’s individual technique/style is presented in the chosen medium.